I am linking up today with Classroom Freebies for Manic Monday. 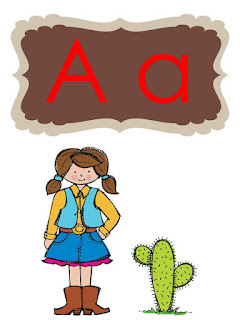 This week's freebie is a Western Theme Word Wall Header set. Click on the image to download yours! I'll be back later with my Monday Made-It and some more goodies I hope! Looks like Tara and I were of like mind in the jewelry department! Here is the Jewelry holder I made. who is forever snagging Skittles out of the real candy machine I keep on my desk . This was my inspiration from Pinterest. I got materials to make a few more too! This one matches the cake plate I made this week also. I also finished my Circus Them Bundle and worked on some Apple Theme Word Wall Cards and apple theme objectives posters for a special request order. Hopefully will have these posted later today on TPT and TN. 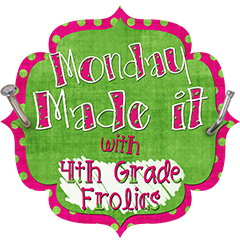 Head on over to 4th Grade Frolics and check out all the other great projects this week! What creative uses for clay pots!!! I have a surplus from my sister-in-law's baby shower and can definitely see trying out some of these great ideas! I have not seen this gumball pin yet, and man, is it adorable! :) Yours turned out so wonderful! What a super cute idea, thank you so much for sharing it. I love the cake stand! I am your newest follower! I just started my own blog and am excited to connect to other passionate educators. One of my girlfriends made that earring picture frame and it is adorable! Very cute gumball pots! I am your newest follower! Can't wait to venture on your blog! I love your gum ball dispenser! Such a cute idea! I LOVE YOUR BLOG! 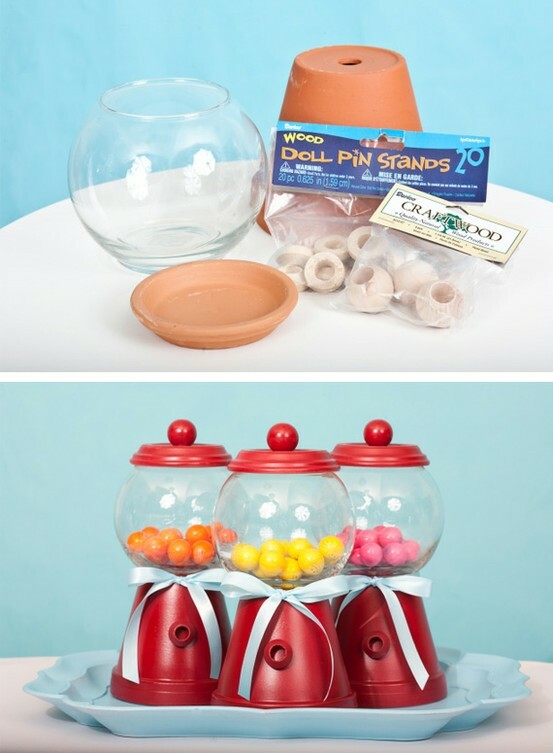 My co worker is a pinterest junkie and she actually made the gumball dispenser in her class. Well I wanted you to know that I nominated you for two awards, Versatile Blog and Lovely Blog award. Go to my page to check the out. I'm your newest follower! What an adorable blog you have. I've nominated you for the Versatile Blogger Award!! Feel free to check our my blog and pick up the award! Hi!! I awarded you the One Lovely Blog award and the Versatile Blogger award!! Stop by and check it out!! I also love your blog and selected you for the One Lovely Blog award! Love your made it monday!! Hi!I'm your newest follower. I love your Monday Made It! I awarded you the One Lovely Blog award and the Versatile Blogger award!! You can check them out on my blog. I love the gumball machine! I also saw it on pinterest and thought it looked like a great idea. You may have inspired me to try it! I've nominated you for an award. Stop by my blog to check it out! I love your gumball machine craft! You did a great job! The cake stand is great too! I LOVE the bubble gum candy jar! I'm going to do this too. I'm a new follower.